There are many Christians who are leaders in the marketplace. For young professionals who have that call, what can they do to best prepare and lay a solid foundation? 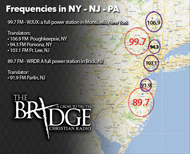 We discuss with Charles Eapen of C12 Group, Northern New Jersey, and Glen Dalakian, Host of Tandem Radio.